Highway sections that are identified by Congress to be part of the national interstate system, such as I-69, must meet interstate design standards established by the Federal Highway Administration (FHWA) and the American Association of State Highway and Transportation Officials (AASHTO) before being officially designated as interstate. There are a number of steps to be completed in the interstate designation process. The process can take up to a year to complete. Highway sections that do not meet interstate standards will be designed and constructed to meet those standards. 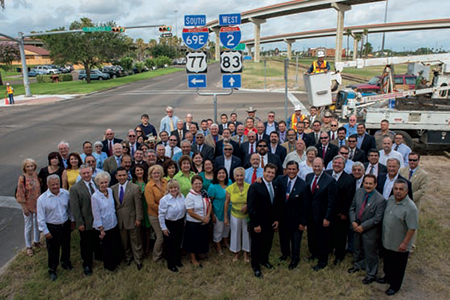 Once construction is completed, TxDOT will evaluate and confirm that the highway meets interstate standards. It will also confirm that it 1) connects to an existing interstate or 2) is part of plan to connect to an interstate by 2037. TxDOT will prepare a request for interstate designation to FHWA. A technical report is developed in accordance with Title 23, Part 470 of the Code of Federal Regulations as part of the request. Depending on the location of the highway section, resolutions of support from metropolitan planning organizations and local governments may be necessary as part of the request. The technical report is submitted to the FHWA for review and approval. During this step, there is typically some coordination between TxDOT and FHWA to address any comments and concerns that FHWA may have. The FHWA will then make a decision whether to approve the designation request. 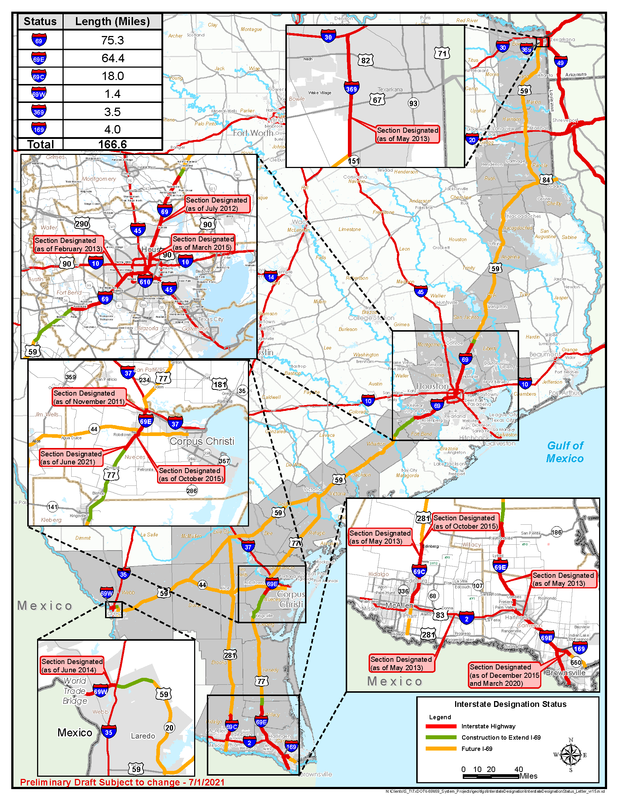 Once FHWA approves the designation request, TxDOT prepares and submits a Route Number Application to the AASHTO Special Committee on U.S. Route Numbering. This committee typically meets twice a year to consider requests. To date, the I-69 system in Texas comprises the following designated interstate highways: I-69, I-69W, I-69C, I-69E, I-169 and I-369. 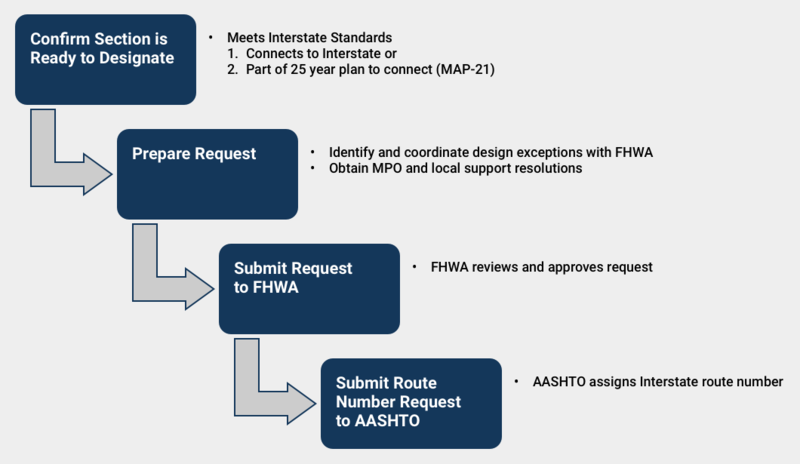 Once AASHTO assigns an interstate route number, the new interstate highway section will be added to the state highway system via minute order from the Texas Transportation Commission.